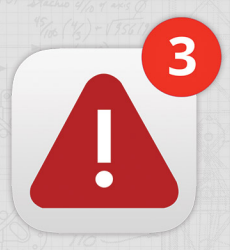 Acknowledgment - alerts sent by your organization automatically create an open task and show up until they are "acknowledged"
System Tasks - There are various other "Hazard Scout System Tasks" which may be assigned such as "Getting the Site Setup", etc. It is important to understand that almost all tasks are generated automatically. In other words, it is not your responsibility (nor is it possible) to "assign tasks" for training, inspections, etc. The system automatically assigns those tasks, assuming you have setup your equipment, inspections, and training properly. Some tasks (such as follow-ups and acknowledgments) will notify employees via the Hazard Scout app or possibly by email. Other tasks (such as expired training or incomplete inspections) do not create alerts, but simply show up in the open task list. If the iPhone or Android app is installed then the home screen icon will also indicate the number of open tasks. 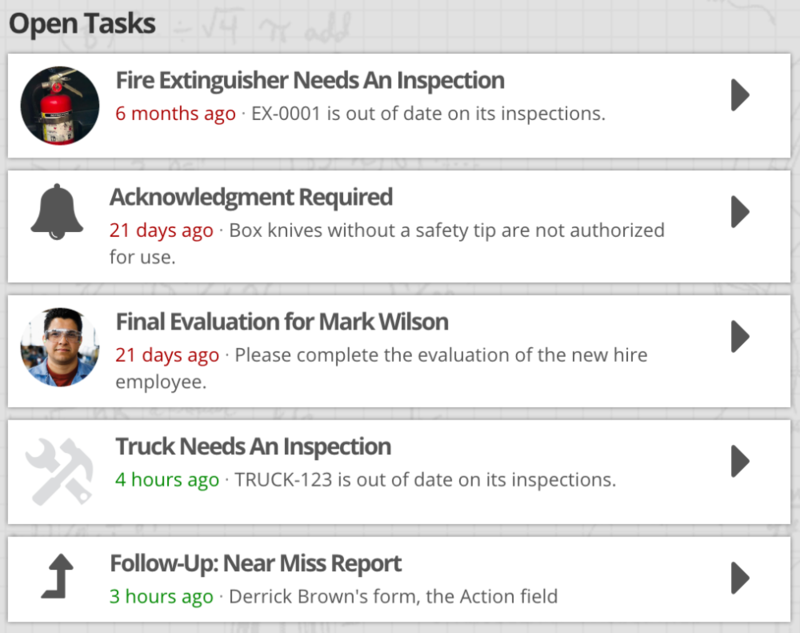 The apps also display the number of open tasks and all tasks can be completed from within the Hazard Scout app (by simply clicking on the task).